FSI’s leaders are subject matter experts within their respective areas of focus. 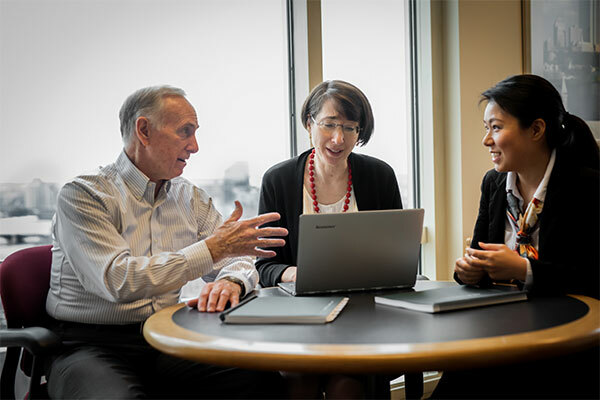 Their healthcare and technology specialization, combined with decades of strategy consulting experience, enables them to effectively assist clients seeking higher levels of growth and increased enterprise value. Each senior leader has executive management, investor and Board of Director experience. 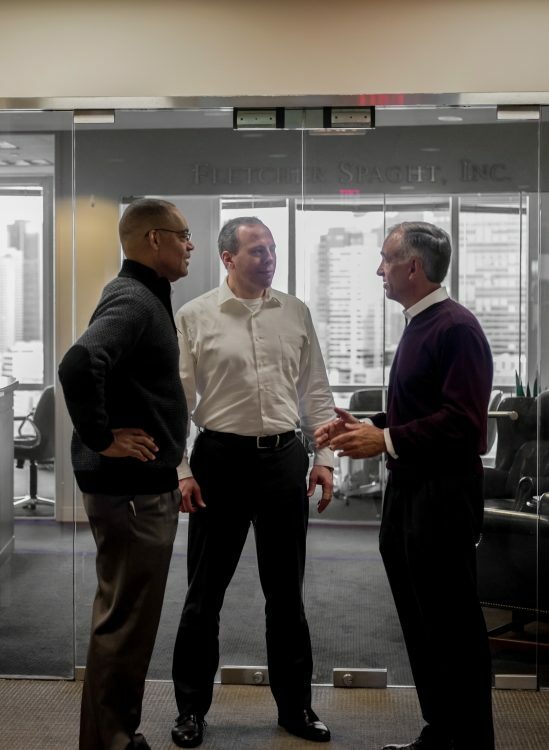 FSI’s senior team reflects our core values: quality/insightful work, actionable output that provide achievable increases in growth and value for our client. FSI’s senior team enjoys engaging in conversations about revenue growth and increasing business value. 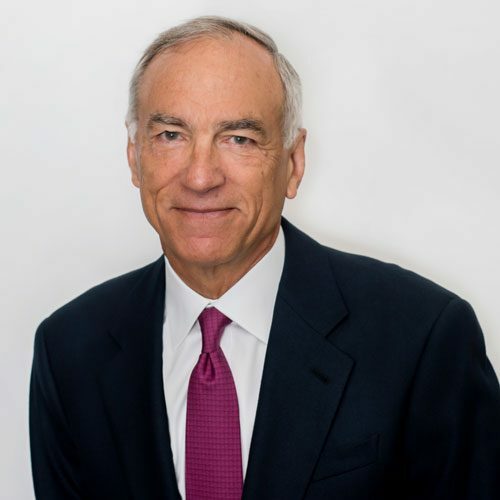 John founded Fletcher Spaght in 1983 where he leads both the consulting practice and venture capital activities, with analytical insights and creative solutions derived from his years of experience with clients, portfolio companies and the investment community. John works across Fletcher Spaght’s practice groups, with a focus on healthcare. He has particular interests in devices, specifically in cardiology, cardiac surgery, and orthopedics, as well as in biopharma and healthcare IT. 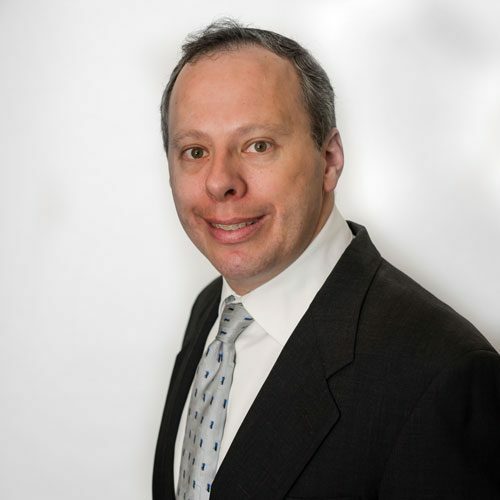 Prior to founding Fletcher Spaght, John was a Senior Manager at The Boston Consulting Group, advising a broad range of companies in healthcare and high technology industries. 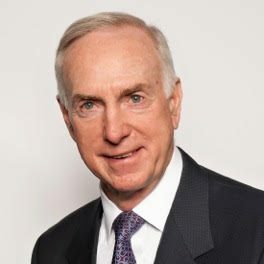 John currently serves on the Board of Directors of Axcelis Corporation, MRI Interventions and is Chairman of Metabolon. 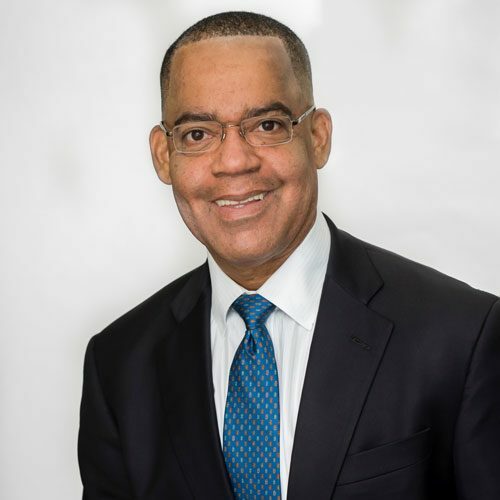 Previously, he served as Chairman of Spectranetics during its turnaround and subsequent sale to Philips N,V,; for this work, he was selected as Director of the Year by the National Association of Corporate Directors. 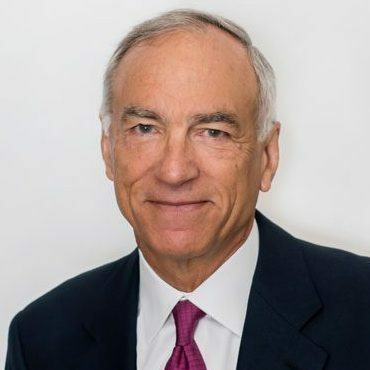 He is Chairman Emeritus of the Corporate Collaboration Council at the Thayer School of Engineering/Tuck School of Business at Dartmouth College and serves on the Board of Advisors of Beth Israel Deaconess Medical Center and the Whitehead Institute at MIT. John received his MBA from Southern Illinois University and a BBA in Marketing from George Washington University. He is an Instructor for courses in international business and a PhD Candidate at the Wharton School of the University of Pennsylvania. He served as a Captain and jet pilot in the U.S. Air Force and continues to be active in aviation. Courtney is the Director of Finance of FSI and FSV. She is responsible for the financial and administrative functions of Fletcher Spaght’s consulting practice, as well as the $130 million companion venture capital fund. She joined Fletcher Spaght as a Senior Controller in 2007 and was promoted to Director of Finance in 2009. Ms. Steinberg was previously a Client Service Representative at The Northern Trust Company and Boston Private Bank. Courtney is a licensed Certified Public Accountant in Massachusetts, a licensed Certified Management Accountant, and is a member of the Massachusetts Society of Certified Public Accountants. Ms. Steinberg has a MS in Accounting from Suffolk University and a BA in Linguistics from the University of New Hampshire. Bill has been with FSI since 2008. As a Director he manages FSI case teams day to day, focusing on growth strategy assignments for companies in medical devices, diagnostics, biopharma and digital health. Bill has also been active with Fletcher Spaght Ventures sourcing deals and conducting due diligence. Bill worked previously as a strategy consultant in the life sciences practice at Wood Mackenzie and in business development at Acusphere, Inc., a diagnostics/drug delivery company. Bill has a MBA from Boston University Questrom School of Business, a MS in Biotechnology from University of Pennsylvania and a BA in Biology from Skidmore College. 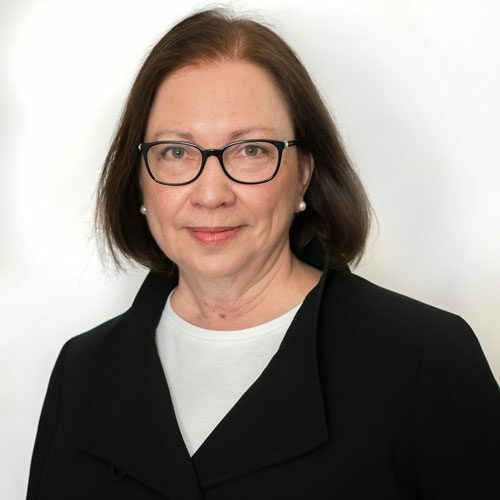 Linda works across all sectors of FSI’s Healthcare Practice, including devices, diagnostics, therapeutics, health services, and healthcare IT/analytics. She has extensive experience working with senior management of companies ranging from early stage spin-outs, companies in their growth phase, venture capitalists/private equity investors as well as the world’s largest corporations. Prior to FSI, Linda was an internal consultant at Sony Corporation of America. Previously, she was a Manager with Bain & Company and, while at Bain, was also a Manager in a Bain-Baxter joint program which provided consulting services to major hospitals. Before joining Bain, Linda was a Manager in a boutique Washington, DC-based strategy consulting firm, since acquired by Mercer Management Consulting. Linda has also worked as a practicing engineer in the energy sector. Linda currently serves on the Board of Directors for Juventas Therapeutics. 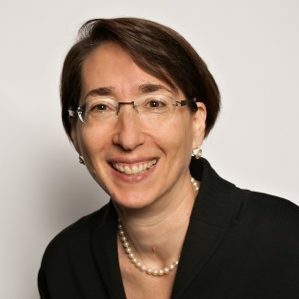 Linda holds an SM in Management with concentrations in strategy and finance from the MIT Sloan School of Management, an SB in Electrical Engineering and an SB in Humanities and Science (Physics) from MIT. Renard is a senior member of FSI’s Healthcare Practice. He has extensive experience as an advisor to large established enterprises and nonprofits seeking to identify, evaluate, and harness growth opportunities as well as with entrepreneurs and investors looking to develop early stage startups. His work with international companies and investors, both venture and private equity, covers a broad array of technologies and sectors, including medical devices, supplies, manufacturing and supply chains, CROs, health services, and healthcare IT/analytics. 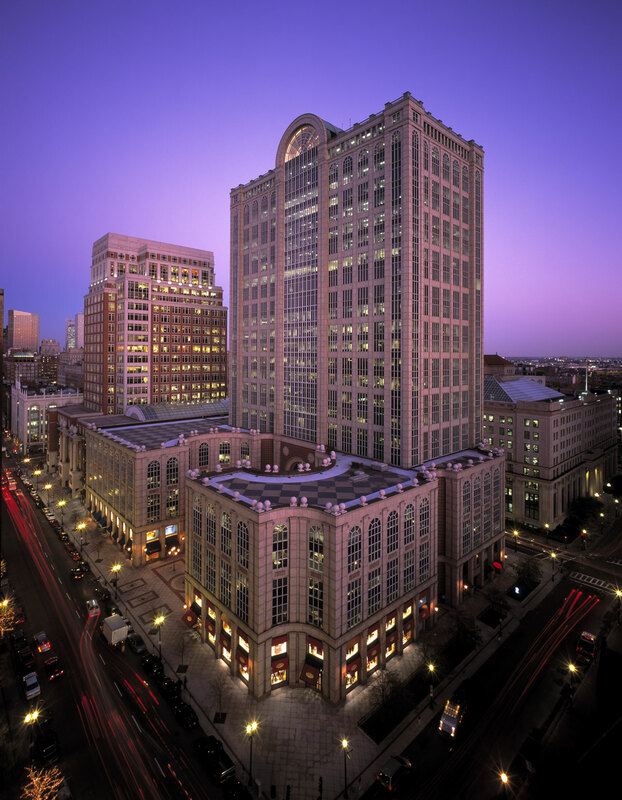 Earlier in his career, Renard worked at The Boston Consulting Group in their healthcare practice. Prior to FSI, Renard worked at GE where he helped orchestrate an IPO spinout of a $15B business unit as the marketing head of its largest division. He also served as Senior Vice President, Long Term Care, at Genworth Financial. Prior to GE, Renard worked at Boston Scientific, as head of strategy, as well as in several divisional marketing and business development capacities, at a time during which the company tripled its market value. Prior to business school Renard worked in Morgan Stanley’s M&A Department. Renard currently serves on the Board of Directors of Cheetah Medical, HistoSonics and the Coulter Translational Research Board at the University of Michigan. 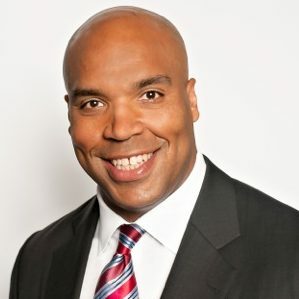 Renard holds an MBA from Stanford’s Graduate School of Business and an AB from Princeton University. Lisa is a senior member of the Healthcare Practice at Fletcher Spaght. She has extensive experience working with companies, investors and associations identifying, evaluating and planning growth initiatives. Lisa has particular interest and experience in the cardiac, peripheral vascular, neurosurgical, orthopedics, dental and veterinary sectors. In addition to working with device companies, she has worked with many healthcare IT, monitoring/diagnostics, and niche service companies as well as with a number of professional associations in healthcare. Lisa was formerly a Consultant with The Boston Consulting Group. Before joining BCG, Lisa was with Motorola as a development engineer in the semiconductor products sector where she developed proprietary and patented manufacturing processes for compound semiconductors. Lisa represents Fletcher Spaght Venture’s investment in CardioFocus as an observer on the Board of Directors. She is a member of the Oversight Committee of the Coulter Translational Research Partnership Program at Boston University. Lisa holds an MBA from the Wharton School with a concentration in Operations Management, an MA in International Studies with a concentration in German from the University of Pennsylvania where she was a fellow of the Lauder Institute and an SB in Materials Science and Engineering from MIT. Molly Hoult focuses on Life Sciences clients within FSI’s Healthcare Practice. She has fifteen years of experience in strategy consulting where she focuses on biopharma, diagnostics and life science tools companies. Molly has extensive experience helping life science companies grow through market-focused commercial strategies addressing fundraising, product development, partnering, and market entry. Prior to FSI, Molly had over a decade of in senior management roles in Marketing and Business Development where she launched three products and closed over 100 license agreements and partnership deals. 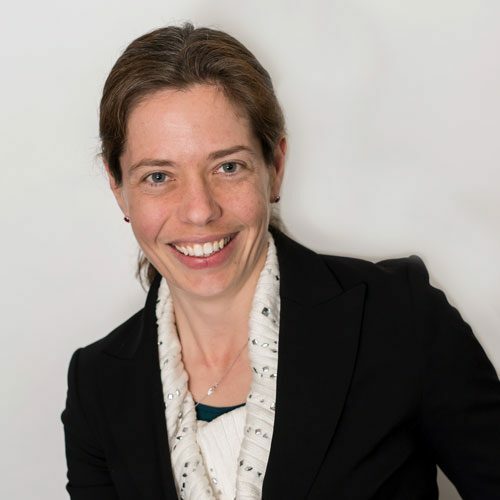 Prior to joining Fletcher Spaght, Molly was Senior Vice President at Blue Heron Biotechnology where she launched the DNA synthesis service and built the commercial team. 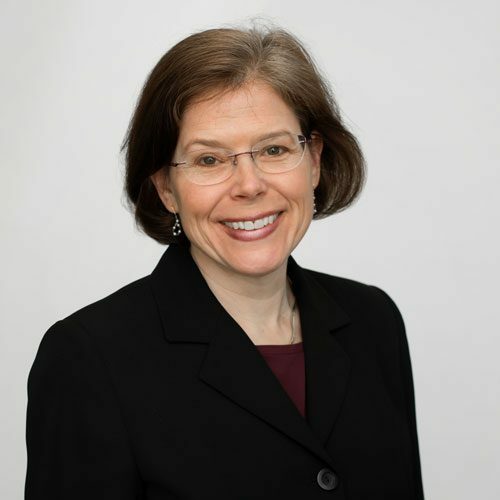 She held senior Business Development positions at Xycte Therapies (cell therapy) and ZymoGenetics (protein therapeutics), now part of Bristol Myers Squibb. Earlier in her career as Product Manager at NeoPath, Molly launched the AutoPap (now Becton Dickinson Focal Point). Molly is a Board observer of Swift Biosciences, a next generation sequencing reagent company. Molly earned an MBA from Stanford School of Business and a BA in Biology and Environmental Sciences from Dartmouth College. Peter leads the High Technology Practice Group at Fletcher Spaght. 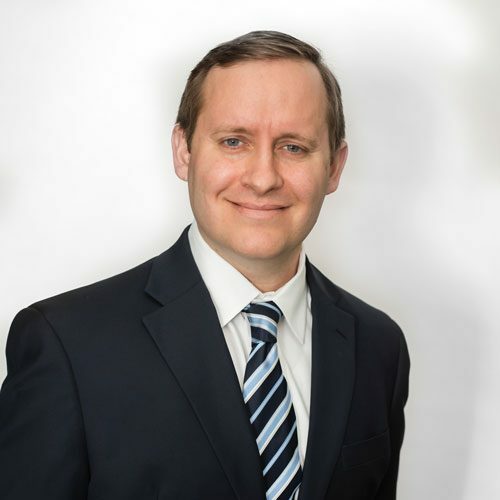 Peter has over 25 years of experience assisting senior managers and investors with identifying and assessing growth opportunities, and collaborating to develop actionable plans for growth acceleration. His client companies and investors span a broad spectrum of technology segments, including healthcare IT/digital health, information security, cloud/XaaS, software, hardware, networking, services, communications, semiconductor, sensor, and other sectors. Prior to FSI, Peter worked in the Chemical Engineering Department at Carnegie Mellon University. Peter holds a BS in Mechanical Engineering from Carnegie Mellon University. Peary leads the Corporate Growth Practice at Fletcher Spaght, advising established corporations seeking growth opportunities including revenue acceleration and profit enhancement of existing business, early stage product innovation initiatives, and transformative merger and acquisition diligence. His client work encompasses a broad range of industrial products, service businesses and distribution companies. Peary works closely with FSI’s Technology Practice Group, focusing on software and healthcare IT clients. Prior to Fletcher Spaght, Peary was Vice President at Raymark Corporation, an automotive and truck components manufacturer, where he led global strategy development and international operations. Prior to Raymark, Peary was a Senior Manager at The Boston Consulting Group where he assisted multinational companies across a wide range of industries with their growth strategy initiatives. Peary was previously a NASA engineer on the Apollo program. Peary currently serves as a Board observer for Soleo Communications and on the Board of Directors for Battery Resourcers. Peary holds an MBA, an MS in Aeronautical/Astronautical Engineering, and a BS in Mechanical Engineering, all from Stanford University.